Chewing gum is not a recent invention. The chewing habit goes back 5000 years, during the Neolithic era. Humans already at that time chewed different plant substances to relieve hunger or ease the anxiety. 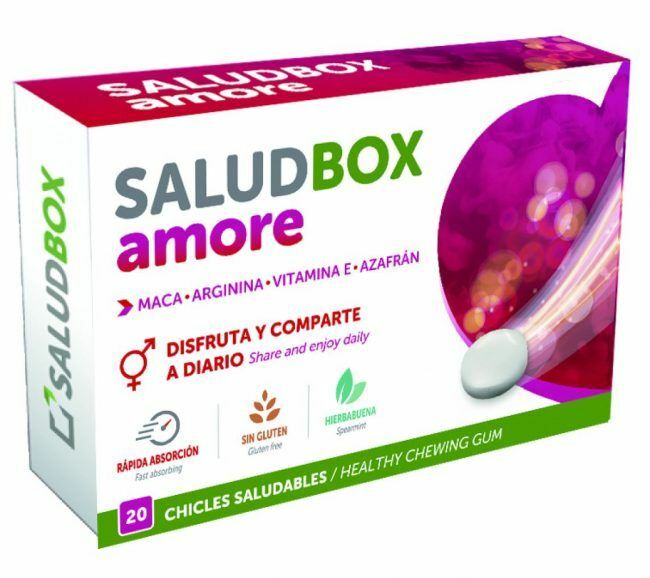 At SaludBox we have recovered this tradition, but adding to it the technological innovations offered by the dietary supplements sector in order to create healthy gum. Boost the moment. For him and for her. Does your mouth hurt? Often we have small mouth wounds caused by an accidental bite eating. 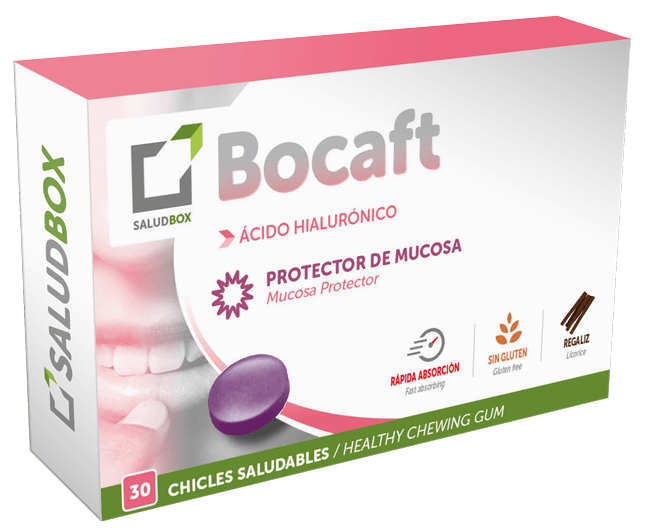 Bocaft, our healthy chewing gum –also in chewable tablet version– can create a protective layer on these wounds so you can smile again. Happy Health! Have you got iron deficiency? 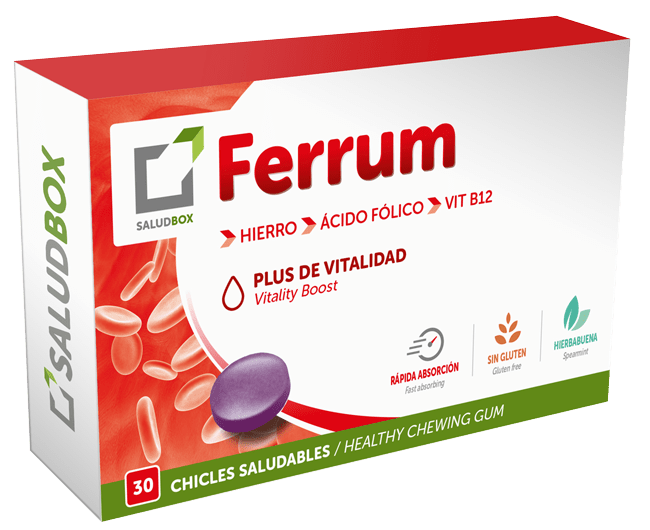 Ferrum chewing gum guarantees an improvement in iron levels in blood. Our product is peppermint flavoured, in order to help cut down on the bad taste of this kind of dietary supplements. 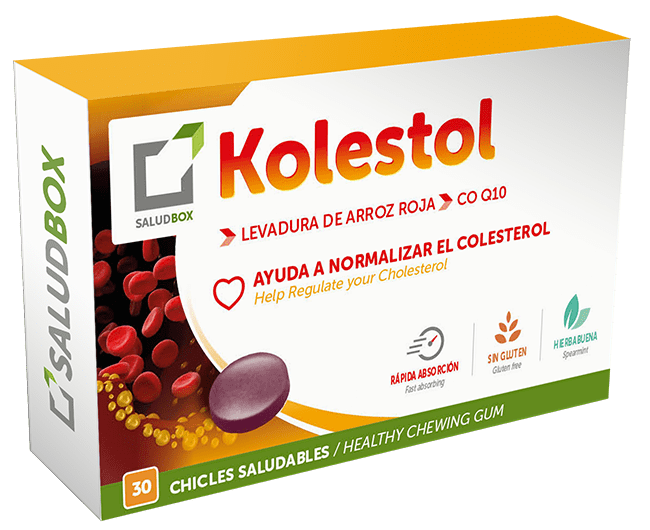 Helps keeping cholesterol levels in healthy ranges. Peppermint flavoured chewing gum with healthy properties for all of those people who want to keep their cholesterol levels in healthy ranges. Are you going through a period of anxiety or nervousness? 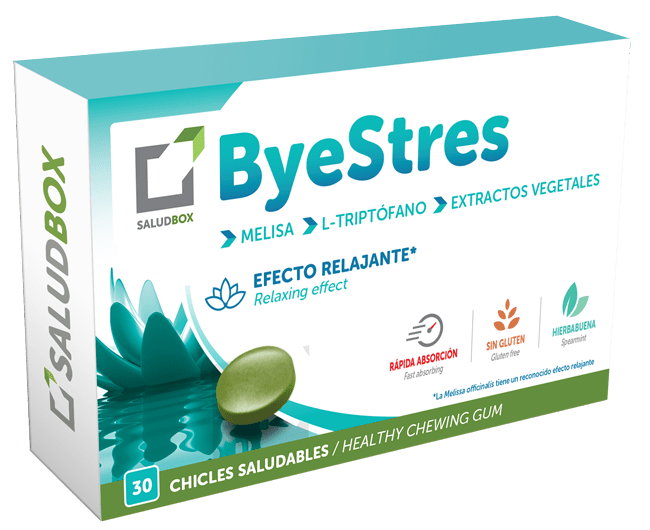 Thanks to ByeStres by SaludBox, peppermint flavoured healthy gum, you will reduce anxiety levels and nervousness in your daily life in order to improve your stress levels. It’s time to relax! Every time we perform physical activity, our muscular system has to work to the maximum. And there are two minerals that are pivotal in this process and can help us for taking care of our body: magnesium and potassium. 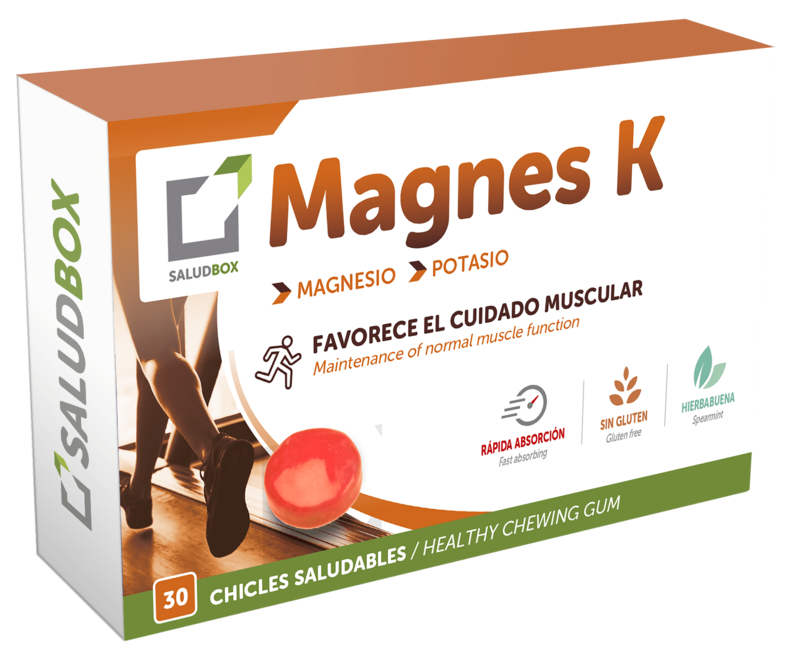 The intake of Magnes K contributes to reduce tiredness and fatigue, prevents muscle cramps and maintains a normal muscle function.